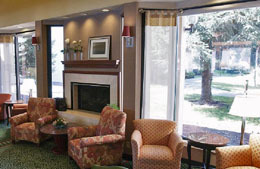 The Courtyard by Marriott Spokane Downtown is a secluded getaway on the banks of the Spokane River and adjacent to the Spokane Convention Center. Fifteen minutes from your flight to Spokane, on the Centennial Trail in the University District, we are in the middle of it all! 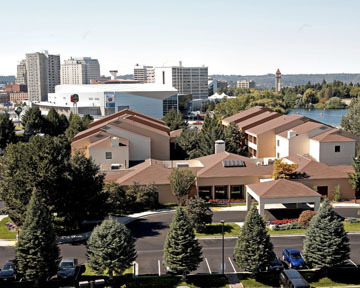 Our hotel is also near Riverfront Park, River Park Square Shopping Center, and the Spokane medical community. Location: Downtown location with river view rooms.